How does the author create such narrative drive, such a fully realized portrait of a life, in a memoir whose form would appear to undercut these achievements? A strong narrative persona. Married for the first time at 18, remarried at 27—Abigail Thomas’s life was full of wrong turns. She’s got a lot of living under her belt. Yet the narrator here keeps things light and crisp, avoiding the trap of becoming overly self-judgmental. Instead, here the persona is vulnerable, startlingly honest, unsentimental, wry, and above all, entertaining. Paul Zakrzewski is a writer and teacher based in Santa Barbara, CA. He recently completed his MFA in Creative Nonfiction at Vermont College of Fine Arts. Find out more about his SoCal writing workshops at http://www.pzak.net/workshops. ordering it now because I’ve just put together something like that – wow. I love this. 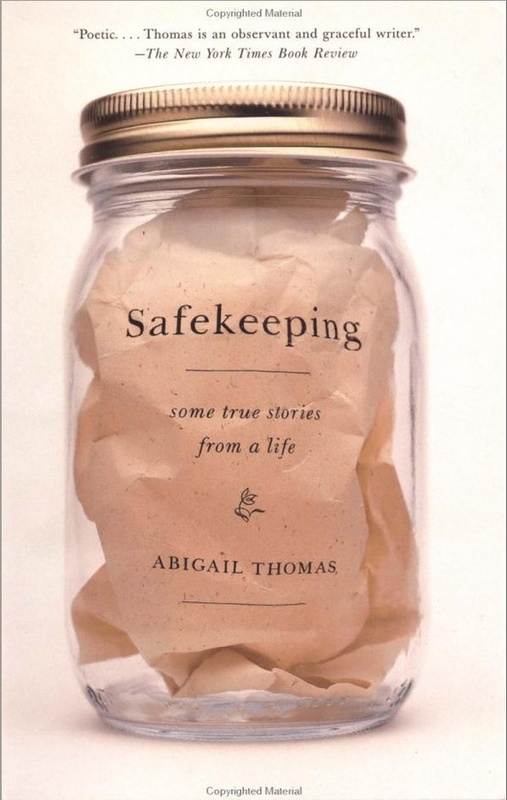 Safekeeping is one of my favorites. I emailed Abigail years ago after reading it, wanting to do an author interview with her over the phone (I’ve interviewed Joan Wickersham and Amy Krouse Rosenthal – other authors who have played with form). She kindly declined – but invited me to take a free workshop at her home. Alas, I live too far away. Thank you Paul for analyzing the book and breaking it down this way. Wonderful! This was so good I had to print it out. This was so good I had to print it out. Thanks. Thanks, everyone! I really appreciate the feedback. Thanks, Paul! I’ll definitely consider the part about reflection when revising/editing my memoir. You are currently reading How Abigail Thomas Creates Narrative Tension at BREVITY's Nonfiction Blog.